Sentimental Brits would prefer to receive a Christmas card than a text or email this festive season, a study has found. Researchers found despite the plethora of high tech methods we can now utilise to deliver messages of goodwill, most still yearn for a good old fashioned handwritten card. An overwhelming 83 per cent truly believe more thought and feeling goes into the written word than a quick-fire text message or post. “Electronic messages just can’t replace reading a handwritten message from a well-wisher, or the lovely decoration they bring when strung up at home. 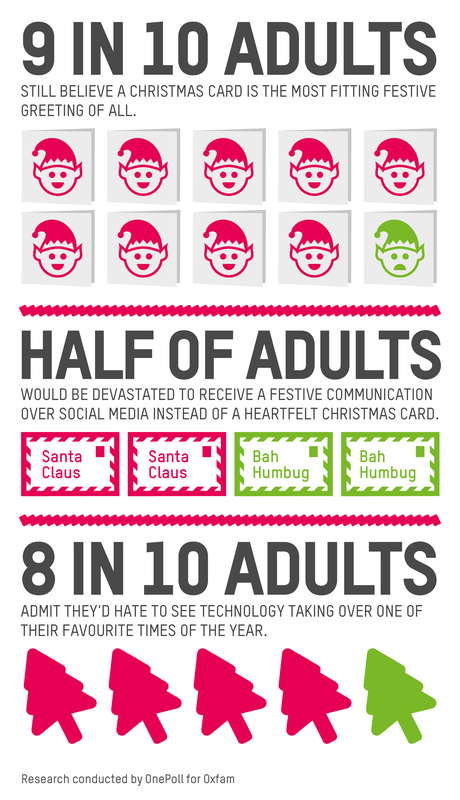 According to seven in ten, these types of messages during the festive period are only appropriate for distant acquaintances – and even then a considerable two thirds still preferred a card through the mail than a message in an inbox. Two thirds of Brits are warmed by the idea of the thought and effort that goes into choosing, writing and posting a Christmas card – while 37 per cent look forward to reading the greeting inside. Half of those polled feel sending a card shows someone really cares – and for one in ten, the sound of a card coming through the letterbox makes them feel a little less lonely. More than a third disliked the thought of online friends firing off messages to everyone in their contacts list, like a Christmas conveyor belt. But if Christmas cards is a numbers game, Brits are totalling some impressive festive figures: sending an average of 23 greetings each year, and spending an average 45 minutes writing them – approximately two minutes on each. 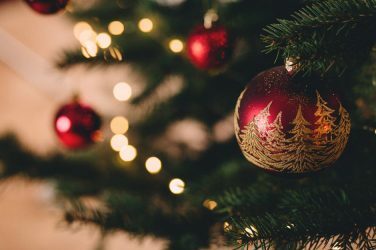 Though there are many people to consider, and much to say when carefully crafting cards each December – unsurprisingly, parents received the lengthiest messages, while best friends, siblings and children also receive detailed tidings. 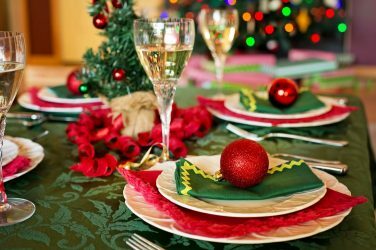 More than four in ten adults said they use Christmas cards as a round robin- a traditional way of communicating to distant family and friends what has happened during the year – and seven in ten considered it a fantastic way of keeping in touch. 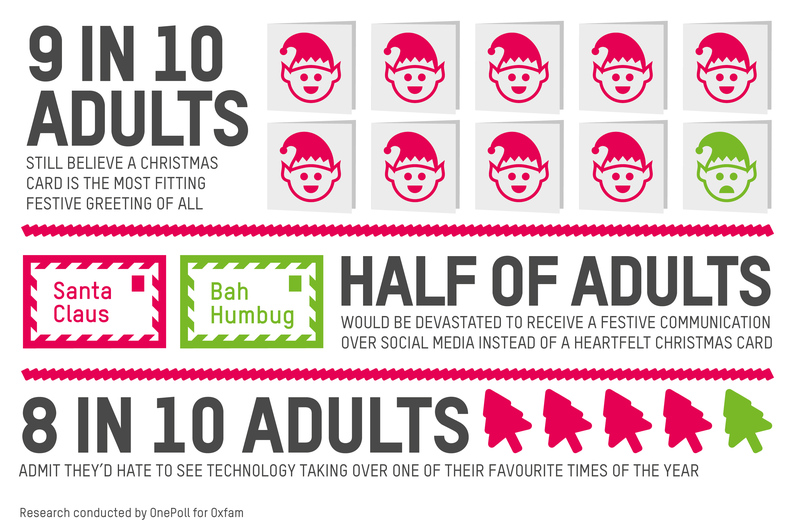 But it’s not always the season of goodwill when it comes to Christmas greetings – as almost one in ten have ‘defriended’ someone because they didn’t receive anything from them. 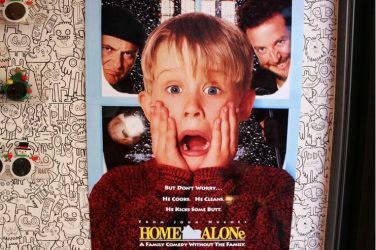 What’s more, a name spelt wrong and a card received after Christmas were considered the ultimate faux pas – as was a stamped name and a hastily scrawled signature. Mrs Gilfeather for Oxfam added: “This year Oxfam shops are again stacked with beautiful Christmas cards carefully sourced for you – for every budget and taste – bringing humour, style and art into homes along with your personal messages.